Welcome to Tamiland! 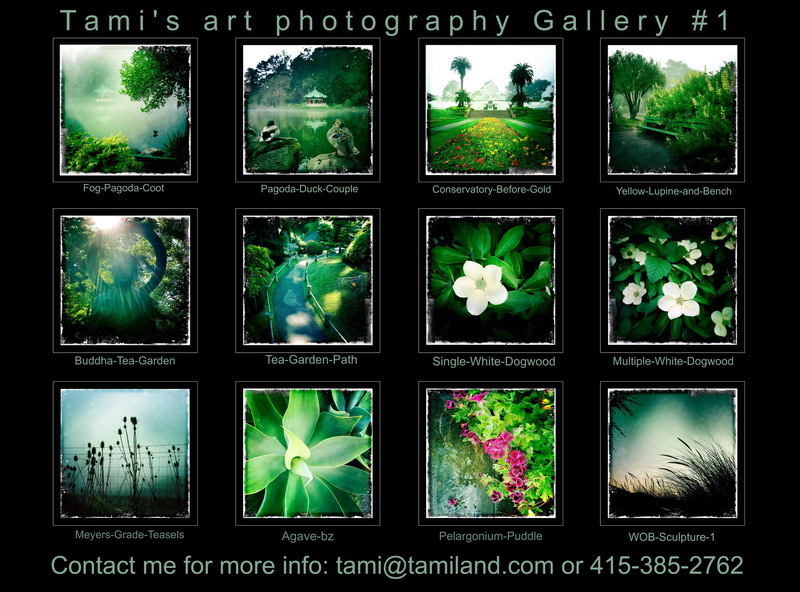 I am a photo artist based in Oakland California. 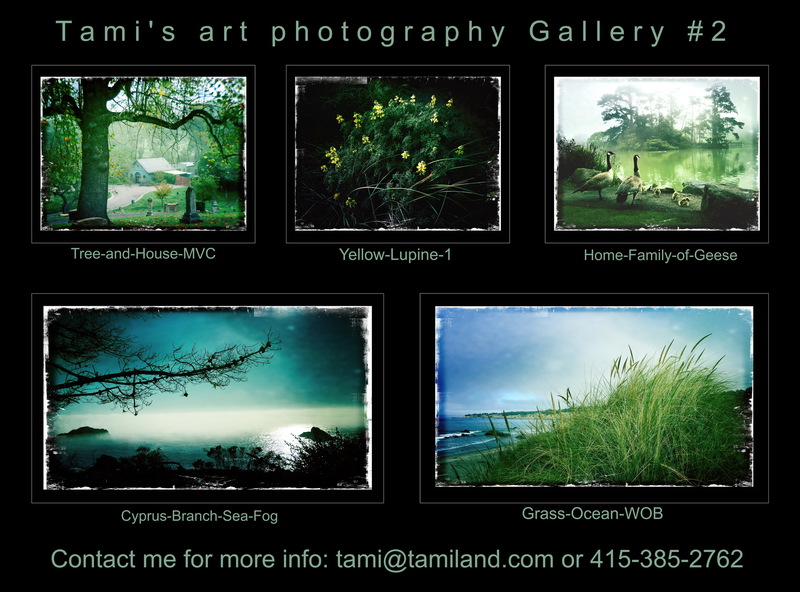 Having lived 2 blocks from the enchanting Golden Gate Park in San Francisco for many years, my love of the fog and everything nature has kept me captivated and creating lovely images for many years…and am now sharing them with you! Please view some of my favorite images in my two gallery pages while I obsess about building this new site-you old baby clients know what I’m talking about! Feel free to contact me for more information about my wall art for your home or business. For nostalgic purposes, see the Tamiland Original link below to view my extensive baby portrait site. Tami A. DeSellier: Art Photography. San Francisco Bay Area & Northern California. Copyright 2018, Tamiland All rights reserved.